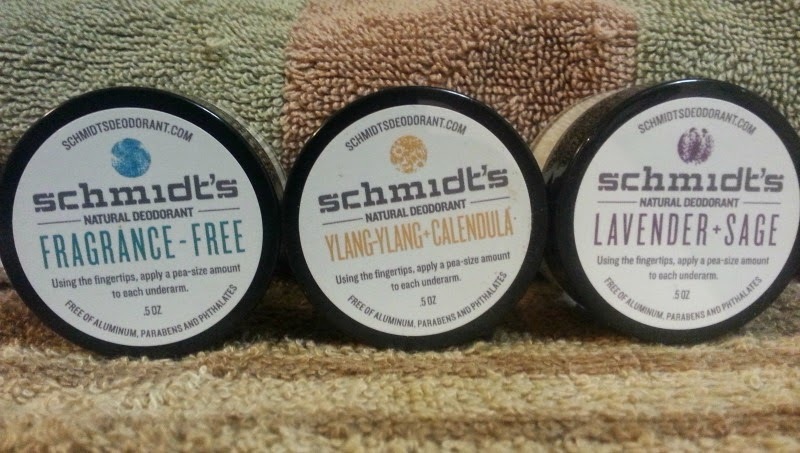 Schmidt's Natural Deodorant is an all natural, vegan, and cruelty free alternative to deodorant. They come in some lovely scents and also have a fragrance-free jar. In my search for new beauty product alternatives, I am very glad to have found this brand of deodorant. Using beauty products and personal hygiene products that are chemical free is a step in the right direction. I like to look for the cruelty free bunny symbol knowing that these products were not tested on any animals. Each jar of deodorant is free of aluminum, parabens and phthalates. A triple win! Okay, so besides it being safe for your body, it smells great. My favorite scent is Lavender & Sage. 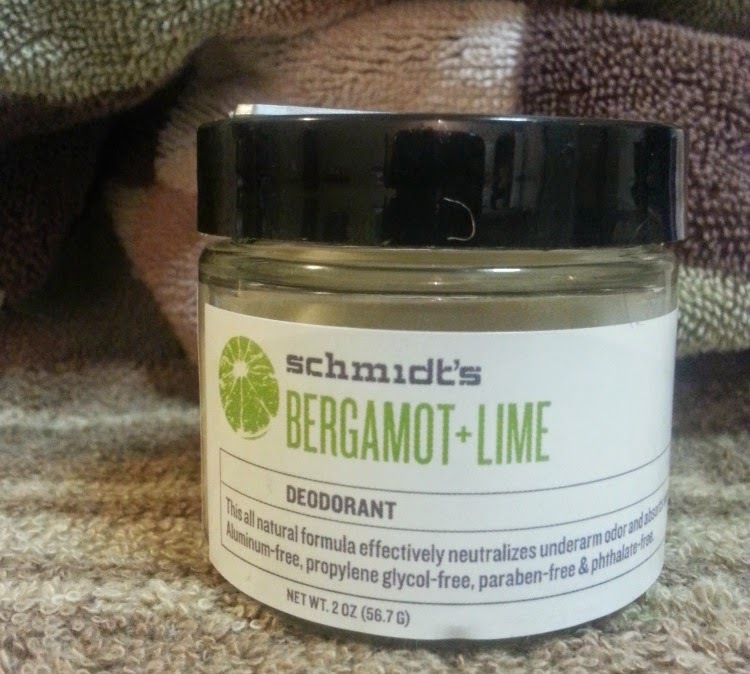 The Bergamot & Lime smells nice too and reminds me of a margarita. I gave my husband the Cedarwood & Juniper because it smelled "manly" to me. He really liked it. I'm glad he liked it because I want him to jump on the "all natural" band wagon along with me. I think we both are pleased with this deodorant but wish it was in a traditional applicator. To apply Schmidt's deodorant just put a pea-size amount in your fingertips to warm it up, then put on underarm. Does it work? For my husband and I it did work. In the past, I'd go without using deodorant. Yes, I know, pretty gross of me. Now that I have natural options I promise to smell good. Check out their online store here. Large jars go for $9.00 each. Follow Schmidt's on Twitter and Like them on Facebook. How do you feel about natural deodorant? What brand do you usually use?